Ventilation and air conditioning technology in hotels. More comfort for guests. Hotel guests have high expectations and very individual demands when it comes to the room climate. Some like it cool and fresh; others prefer it warm and cosy. All of them, however, want a quiet room. 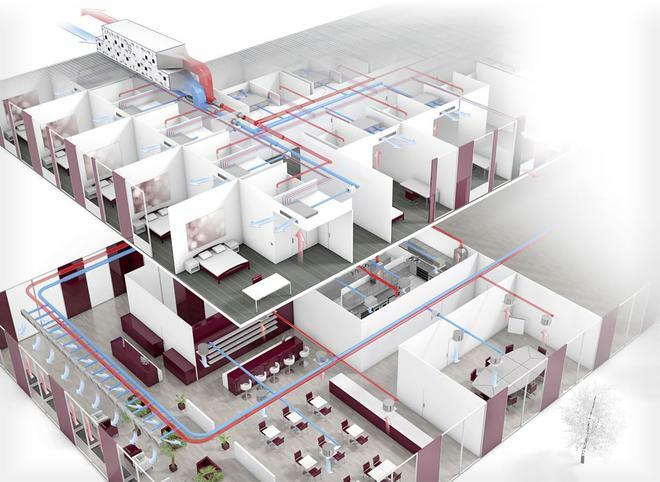 Every hotel has an array of many different rooms and areas, each with different and often complex requirements for ventilation and air conditioning. From the lobby to restaurants, kitchen and bar, and from conference and meeting rooms to the spa. The demands on the air in a hotel could hardly be more diverse. The perfect air condition for hotels: invisible – inaudible – unnoticeable. At TROX, we are committed to providing flexible and adaptable solutions for hotels. Comfort, wellbeing and safety of people are clearly our main focus. This does not mean, however, that we compromise on sustainability and protection of the environment. With all these factors in mind, we offer not only classical standard solutions for hotel rooms but also bespoke and innovative system solutions such as air water systems that provide quiet and efficient service without being noticed by hotel guests. 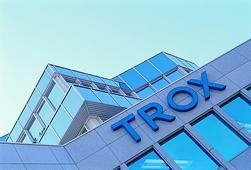 TROX technology can be found all over the world, in hotels of all categories including 5-star plus luxury resorts. You'll meet TROX at 1,800 m in an Austrian mountain lodge as well as in the famous Emirates Palace in Abu Dhabi. This broad spectrum is a result of our cooperation with architects and engineers. It enables us to provide high-quality standard solutions as well as individual, customised system solutions that stand out because of their aesthetic design, intelligent function, and efficiency. We invite you to inform yourself about legal standards and regulations for hotel buildings as well as about air conditioning parameters in various functional areas.